Hey i like this topic! Here's our common bookshelf at home.....hahaha, sorry medyo magulo pa, my nicholas sparks are in currently in a plastic box for safekeeping but you can see my Shopaholic books there on the upper right, and some of my dad's architecture books! hahaha. Im still working out to have my OWN shelf, with all my books only but still need to look for a nice space! Hi conan_barbero, cool, saw you artemis fowl books....i ave those too but havent read all if them though, i think only up to book 2 or 3. Hi wanda! I just bought the books but I haven't started with them yet. I'm currently hooked with The Hunger Games. Nice yung Star Wars collection mo. I was planning on buying some books before, particularly the ones after Return of the Jedi. I tried searching the net but I got lost. 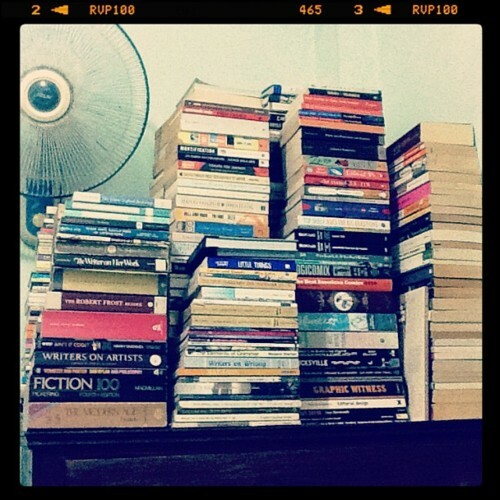 Sobrang dami na palang books.